Google+ is a Social Network like Facebook. Google+ was just launched in 2011. We don’t know how many people are on it, but it has a long way to go to catch up with Facebook. I’m trying to get to know Google+ and I’m not having an easy time of it. Not because it’s more difficult than Facebook but just because it is different, and I already know Facebook. Understanding Facebook does not directly translate to Google+. With 850 million people on Facebook, I view it as a directory – the white pages – for the people of the world. I don’t think there’s a place for two such directories. That said, Google+ does have some cool features. Google Hangout gives you an instant, easy way to video chat with a group of people. You can also share your screen, or watch a YouTube video together. Since Picasa is also owned by Google, you can expect more and more of Picasa’s features to be showing up in Google+. They’ve already taken what used to be Picnik and put the basic editing features right in with the online pictures. Google+ accounts allow you to upload an unlimited number of pictures. With Picasa Web Albums, you were limited to 1GB. I have installed the Google+ app on my Smartphone and now, any picture I take with my phone gets uploaded automatically. They start out as private, but you can then share them with whoever you want. Nothing to think about … I took a picture with my phone – I can look at it on my computer. The biggest problem with Google+ as a social network is that all my friends are on Facebook! Some have migrated to Google+ but, just like me, they keep going back to Facebook because that’s where their friends are! That’s a big obstacle for Google+ to overcome. We had a question in our Forum this month from a member who was unhappy that her Picasa Upload button had turned into a ‘Share with Google+’ button. She didn’t want to share with Google+ because she likes the specific features in Picasa Web Albums. In the forum thread we discussed the procedure to remove Google+ so she could continue with Picasa Web Albums as before. Check out the forum question and answer if you’re wondering the same. Better yet, register for our Techno-Geek Learning Rally April 22-28 in Bushnell, Florida. We’ll be having lots of seminars as well as hands-on classes with Picasa. 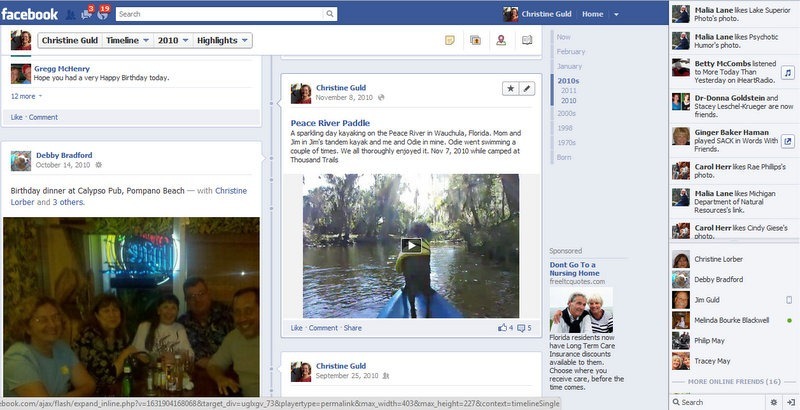 We’ll be able to compare notes on Google+, Facebook, and Picasa Web Albums. Our co-hosts from TechnoRV use Macintosh and iPhoto. This will be a valuable assembly of computer knowledge for travelers – and don’t worry, we’re known for being best with beginners! Published by MrsGeek, in Blog. Tagged with Facebook, google, Google Hangout, Google Plus, Picnik, Techno-Geek Learning Rally. I have a love hate relationship with FB, in fact I secretly hate it with a passion and i admit it’s partly because of the arrogant attitude of Mark Zuckerberg who thinks that your privacy is worth a couple of lousy dollars. He does as he pleases without ever giving warnings or give you a chance to opt out. I know it is changing a bit after he had to go to court to be forced to not have a standard opt-in practise. But most of my friends use Facebook and they expect you to keep up with them that way, so if you do not want to be left out of important issues you’re almost forced to use it as well. Ofcourse I have my FB page walled as much as possible to protect my privacy. Yet they always find new ways to creep in somewhere you did not expect it, like this new Timeline business. 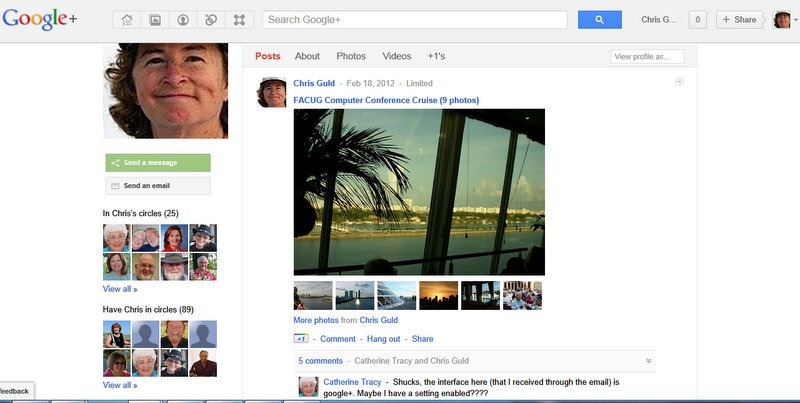 I was a huge Google fan, was a beta tester for both Picasa and now Google+ and am seriously upset with them. While it always has been possible to use Picasa with your Blogger account in an excellent ingrated way, now it’s linked to your Google+ account there is no way to link individual images or use that cute slideshow on your blog because as a Google+ member you have no direct access anymore to Picasa. You can still send people a link to have them view an image but they can no longer comment on them unless they sign up for a Google+ account. Last month I wanted to link an image in a forum that I am active in but that is also no longer possible. While I usually could post an avatar in my Picasa account to have it show up in a forum account, this is also not possible anymore. But what I’m the most angry about is that all this also happened without any warning at all. I updated my Picasa application and next thing I know all my images were linked to Google+. All my blog entries that had those nice slide shows showed the missing image signs. So IMO this is not a feature but an intrusion, people with a Picasa account and a Google+ be warned! In the mean time I’m looking for a better image hosting service and I don’t mind at all having to pay for that if their service will be consistent. All tips are welcome! I don’t know why your slides shows wouldn’t still be in your blog. I just double-checked and mine are still there. (see http://geeksontour.blogspot.com/2008/07/somewhere-in-time.html) Picasa Web Albums is also still there – you just need to manually go to http://www.picasaweb.google.com. That’s exactly what the forum conversation and video is all about. Please follow the link in this article and read thru that. You’re not alone – and there are ways around. I haven’t gotten into Pinterest yet, but I have friends who really like it. The idea is to ‘pin’ photos – not your own photos as much as concept type photos – to a virtual bulletin board and automatically organize them by your Interests. And, of course, to share.